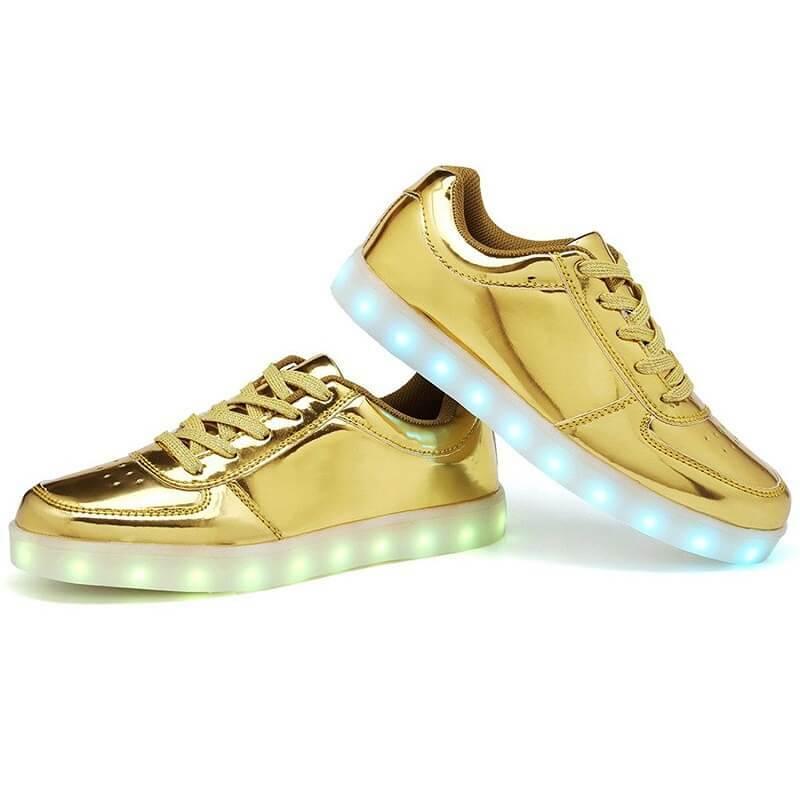 Introducing the popular pair of gold led sneakers low top for women. 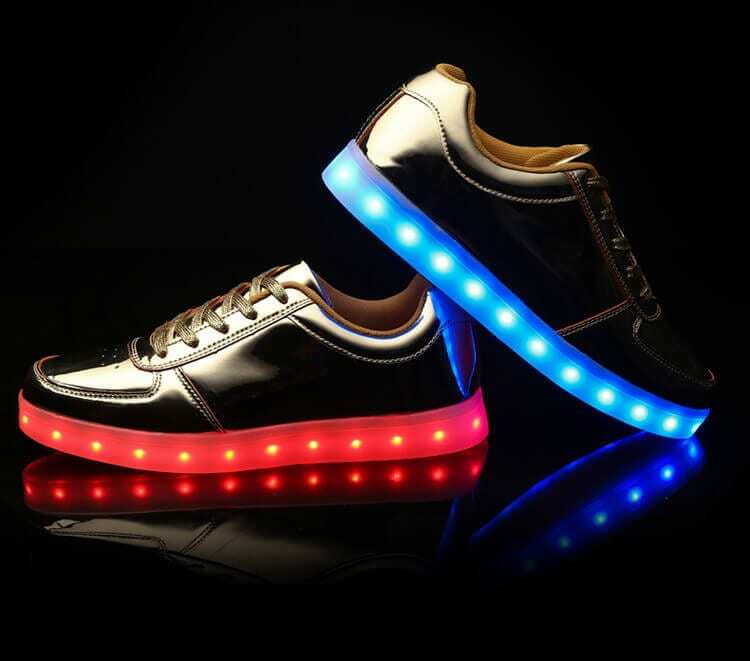 Our light up sneakers are 100% water-proof and brighten up in many different colors. 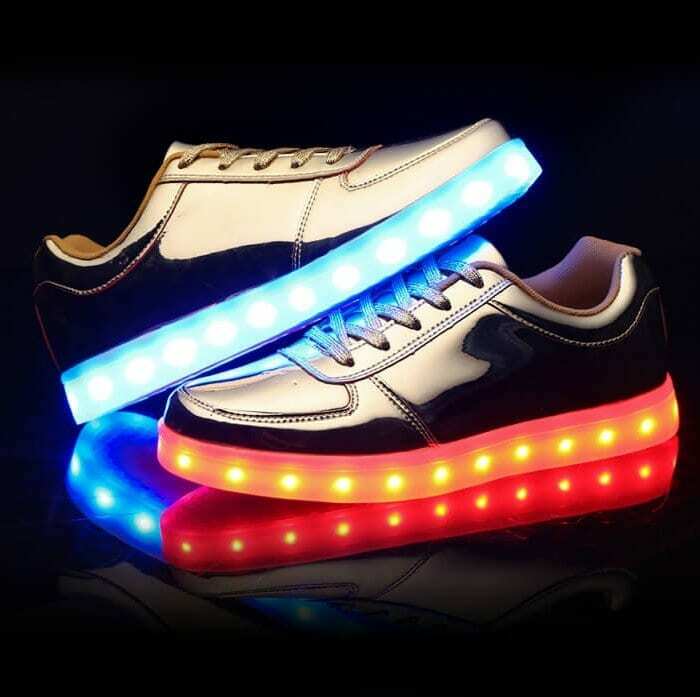 Shifting the colors of the new light up shoes is super fast and uncomplicated with simply the click of a button that is located inside the the new light up shoes. 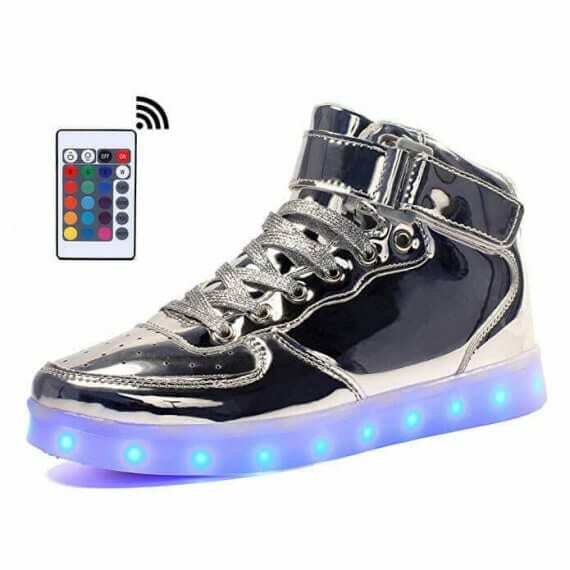 You have quite a few preference to select the colors of the shoes with lights on the bottom. 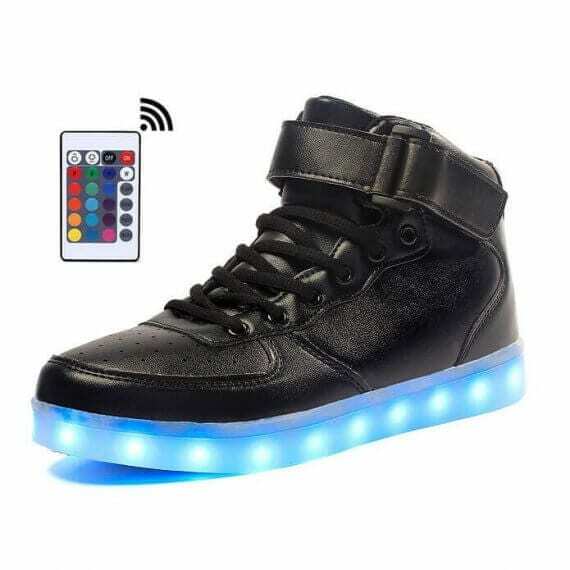 Using a button built inside the light up shoes on sale you can determine the many different settings to display a solid color or multi color light design and style. The sneakers with lights on the bottom are quite easily managed via a wireless app if you make a decision to upgrade. 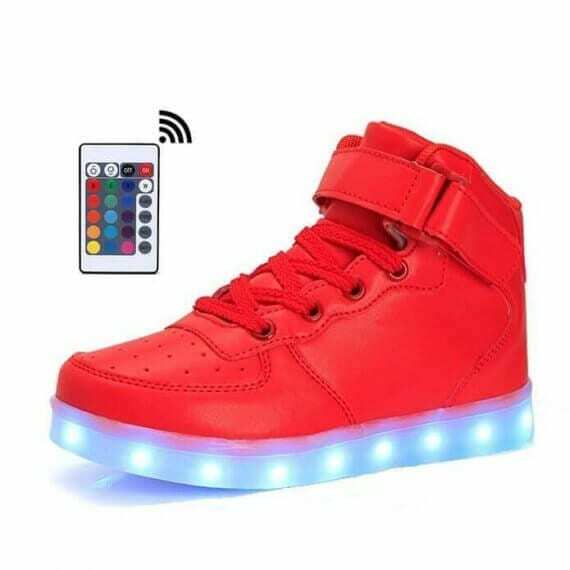 Every different pair of sneakers with lights has got a USB cable for trouble free and simple battery charge that continue performing 9 hours. 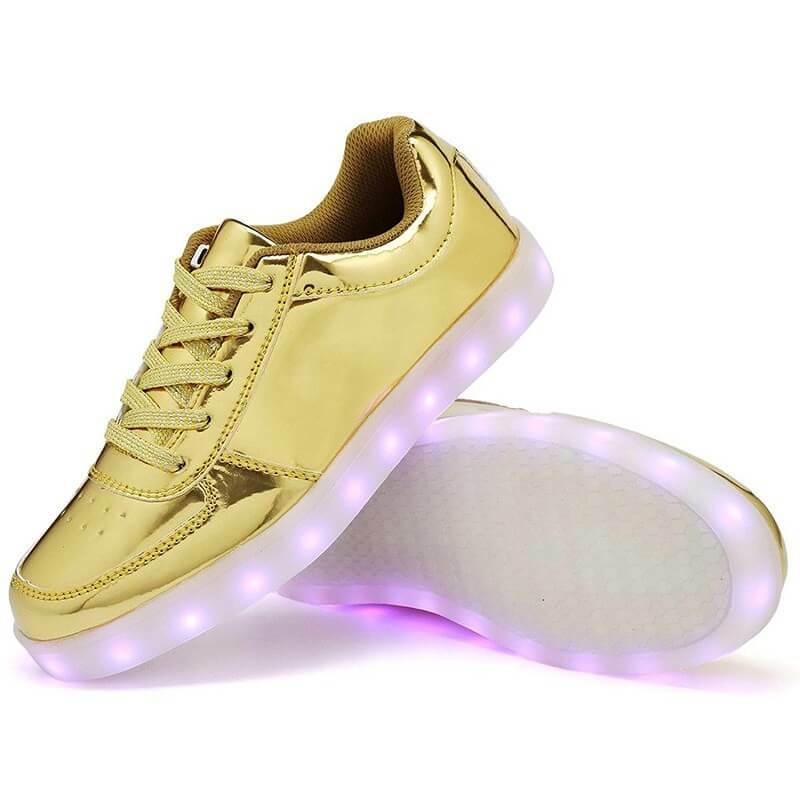 Quite a few people are requesting where to get trainers with light up soles to wear for the next class party, celebrations, concert events, and dance competitions. 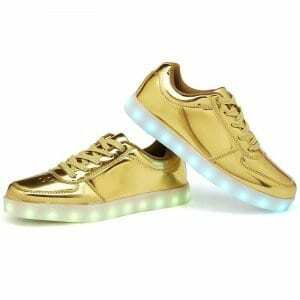 Women light up shoes make a great treasure for your close relatives. They won’t ruin in the rain and are harmless to show for any occasion. 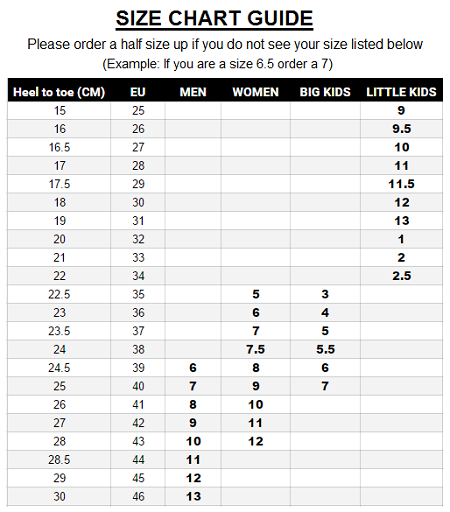 These light up soles for boys and girls are very popular among men and woman. 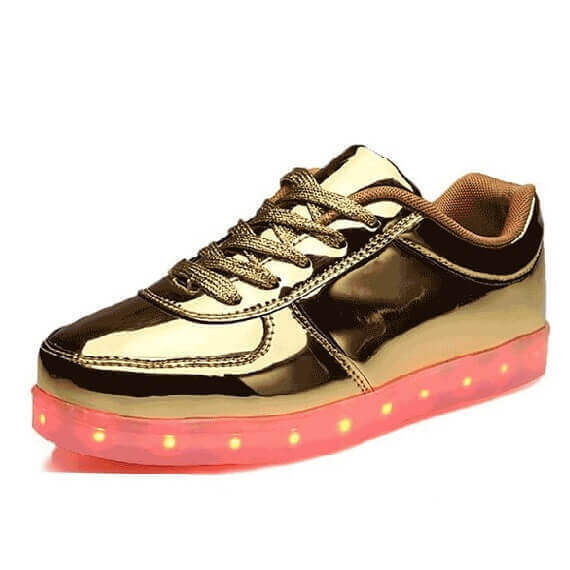 Pleasant insoles and flexibility help make these amazing trainers with light up soles. 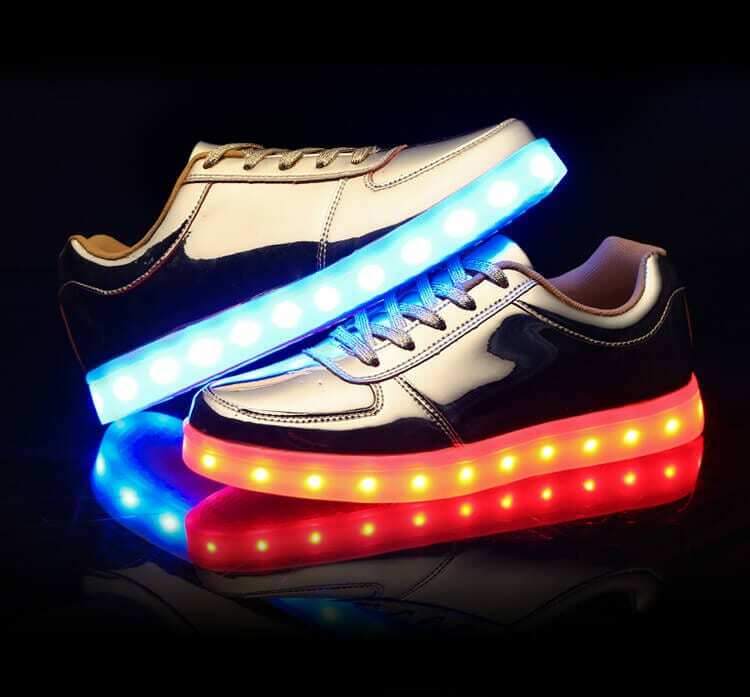 Look forward to focus and flatters because these led light up shoes review are for sure to be a bang anywhere you use them. So buy a pair of light up new shoes right this moment and then be the envy of your pals and in addition all your brand new fans!